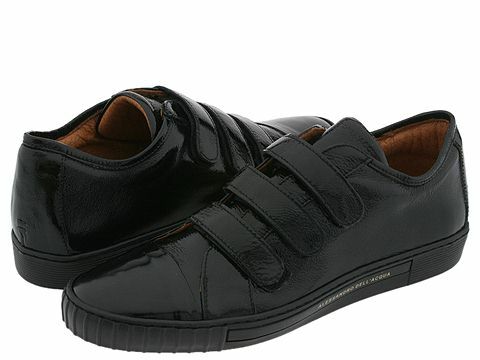 This cap toe Alessandro Dell'Acqua sneaker is the coolest around in crinkle patent leather. Triple hook-and-loop fasteners for a secure fit. Leather lining. Rubber sole with subtle logo detail. Made in Italy.